With over 15 years combined experience with Search Engine Optimization and online marketing in the Montgomery, & Pike Road, AL area we are committed to helping your plumbing business grow from online referrals for a fraction of the cost of our competitors. We are as local as you are! ALLMontgomery & ALLPrattville and are both locally owned and operated by local owners who have provided online advertising and website design to over 600 local businesses in the River Region since 2000. Plumbing businesses in Montgomery need affordable and effective online advertising more than ever. 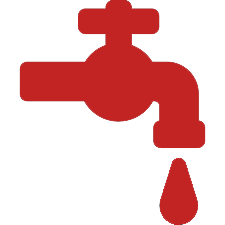 Every day local residents in the Montgomery, AL area are looking for a plumber online due to a plumbing emergency. They’re not using the phone book, the local newspaper, local magazines, billboards etc… They are using their mobile phones for quick information and insight to local plumbing companies to help in their time of need. ALL helps in two important ways for plumbing companies to get found. Number one… We are an online replacement to the phone books of days past by only having real locally owned and operated plumbing businesses in the Montgomery, AL area. We visit your business and get the most current and relevant information regarding your plumbing business so that local consumers have current information.